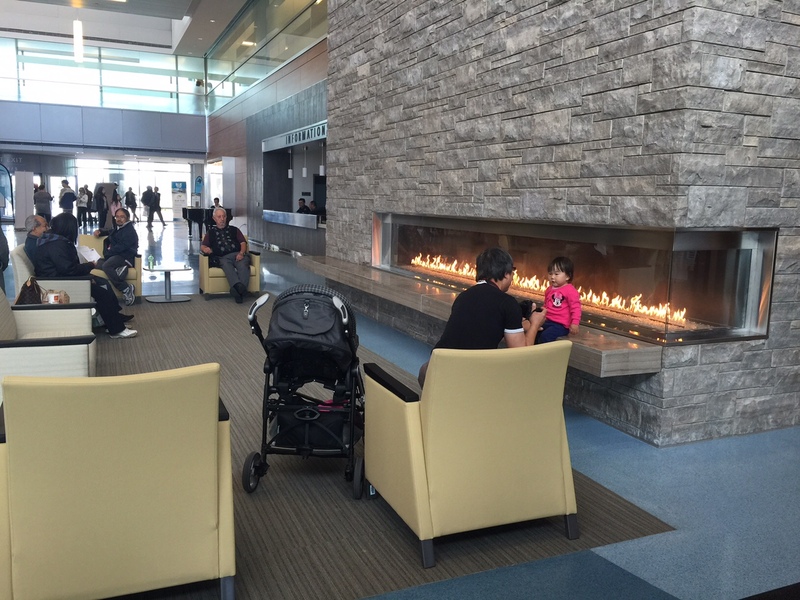 It is rare to come across anyone who actually wants to be in hospital, but over the past couple of weekends, the Oakville Trafalgar Memorial Hospital was full of people who couldn’t wait to get inside. Close to 10,000 visitors toured the new, 450+ bed facility that is scheduled to open later this year. PATIENT & FAMILY FRIENDLY: The new hospital was designed to meet the holistic needs of a patient’s mind, body and spirit. During the self-guided tours we were encouraged to explore the hospital at our own pace. 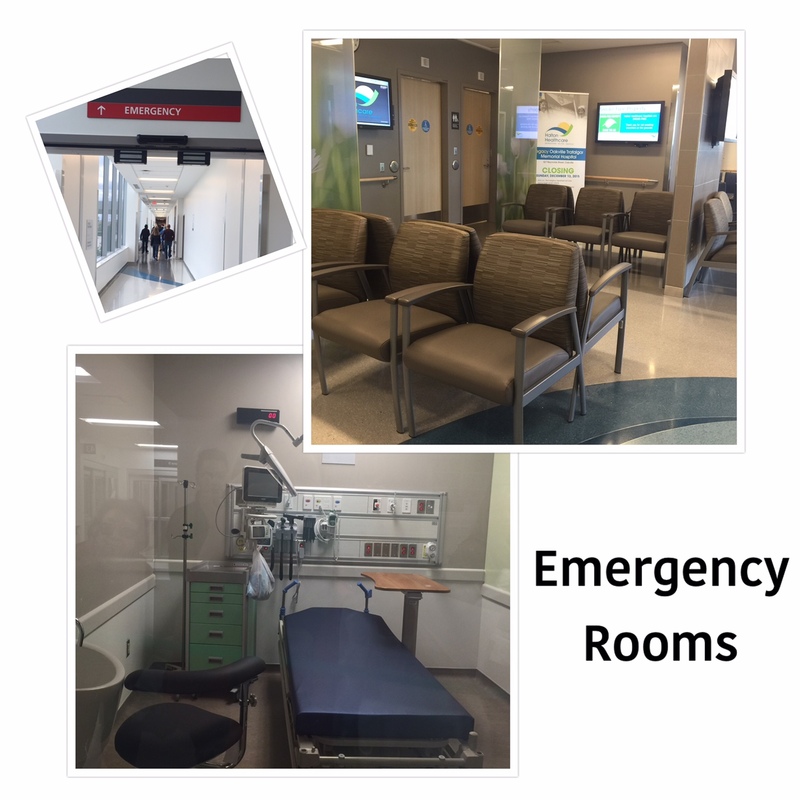 It was a unique opportunity to see what it looks like behind the scenes, open doors and closets, check out patient rooms, pop into the Operating and the Emergency departments and to just explore the place before it fills up with patients. Along the way volunteers – many of them staff members – proudly pointed out some of the building’s best features. “It’s amazing what a fresh facility will do for morale,” says hospital President and CEO Denise Hardenne. 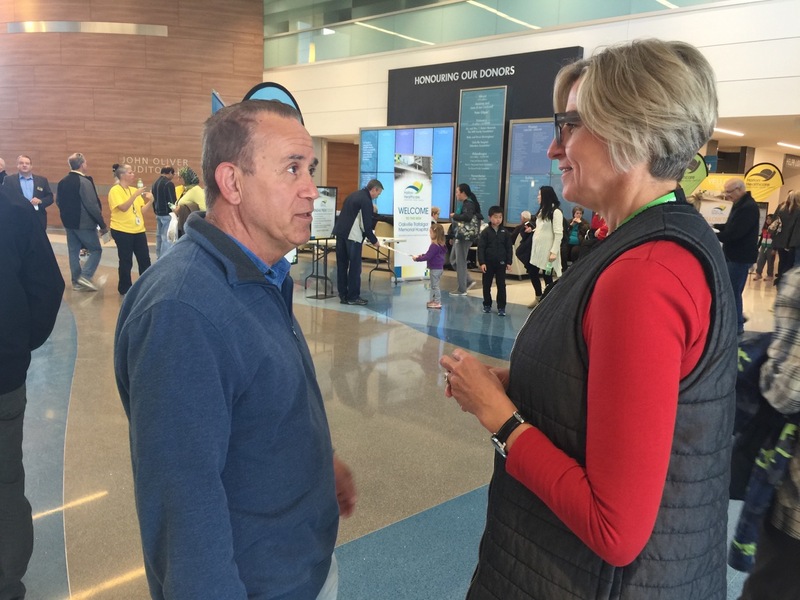 RAVE REVIEWS: This resident of Burlington, Ontario was so impressed, he made sure to personally thank hospital President & CEO Denise Hardenne for her role in bringing this to the community. Fundraising for the new hospital included a levy from the town and a fundraising campaign that exceeded its goal by $5 million. Those involved in planning, wanted to create a healing environment that would make patients feel safe, comfortable and in control. So if you are under stress and looking for a place to relax, there are many. 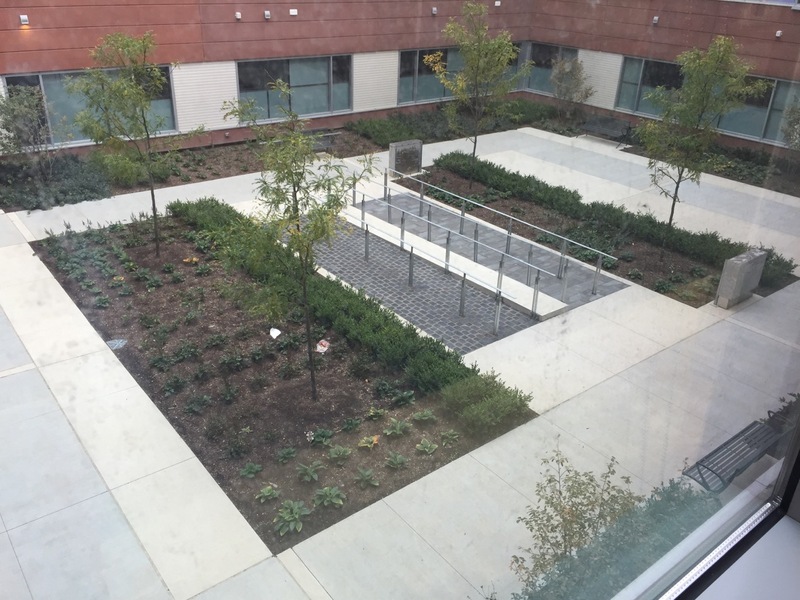 OUTDOOR SANCTUARY: This is one of the courtyard/healing gardens at the hospital. This one has heated concrete to reduce snow and ice buildup in the winter. COZY AND WARM: In the lobby you can relax near the fireplace while listening to live music from the nearby piano. There is so much natural light here, depending on where you sit, you might need sunglasses. DECK THE WALLS: The subject matter of the art here signifies life and promotes healing, both physical and emotional. 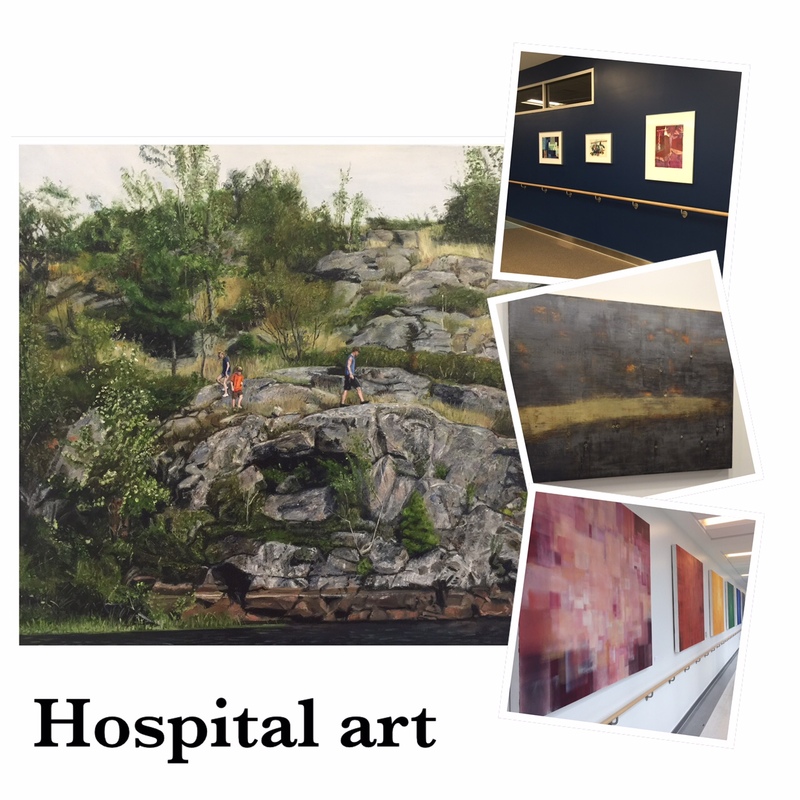 The hospital’s art council seeks art from locally and nationally recognized artists of significance. The plan is to offer self-guided art tours so visitors can “escape” for a while, without leaving the building. ROOM WITH A VIEW: Research shows that access to nature and natural light have a positive impact on healing. A large patient window with a sill that drops down to the floor gives patients the ability to connect with the outdoors without getting out of bed. 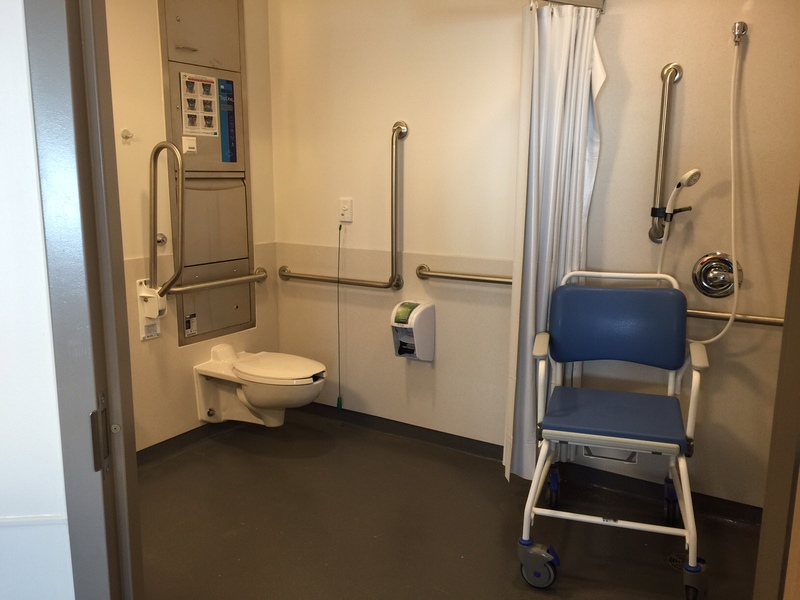 ROOM TO MOVE SAFELY: All of the washrooms here have wide doorways, anti-slip flooring and roll-in showers. INFECTION CONTROL: Each washroom also has a bedpan sterilizer so soiled bedpans, possibly carrying infections, do not have to travel throughout the hospital. WAIT HERE: The waiting room in the hospital’s Emergency Department has very few chairs. That is no accident. When patients arrive, they will be triaged in one of 5 rooms and then head into a more appropriate waiting area like the one above. Here patients can be monitored by staff, and have a little more privacy while they wait. Sliding glass doors are used rather than curtains in the emergency area. 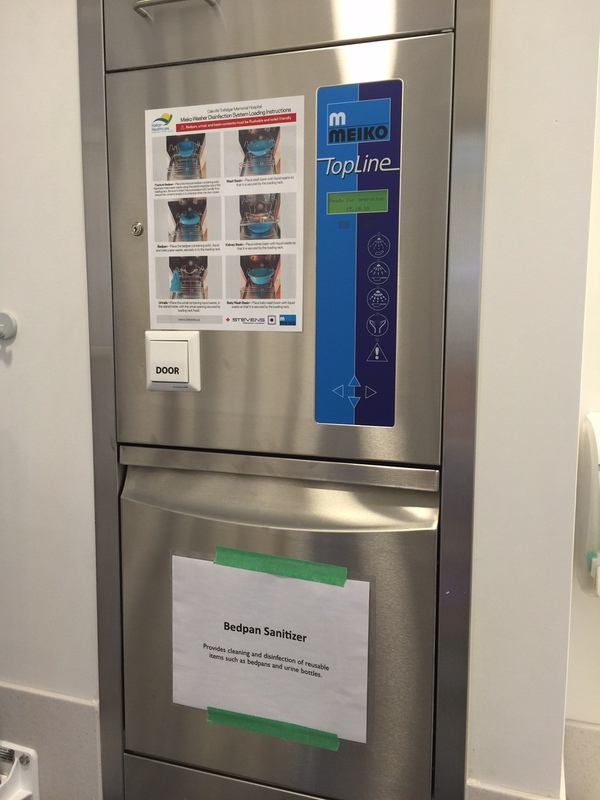 This not only prevents the spread of infection and cuts down on laundry, it also increases patient privacy. WATCH: A volunteer at the New Oakville Hospital demonstrate how a new feature is used in the ED to give patients more privacy and prevent the spread of infections. Keeping patients and their families informed is a priority here. In the Operating room, you can check the status of your loved one’s surgery on a centrally located electronic schedule board. WATCH: A volunteer at the New Oakville Hospital demonstrates how the OR Scheduling Board is used to keep family members informed. Like Windsor’s two acute care hospitals, the current Oakville hospital is old and out of date. It does not meet the needs of patients or staff. “This is probably the biggest thing that is going to happen to Oakville for years to come,” she says, noting the positive vibe in the building. WATCH: This resident drove from Burlington, Ontario to check out his new hospital. Find out what he thinks. 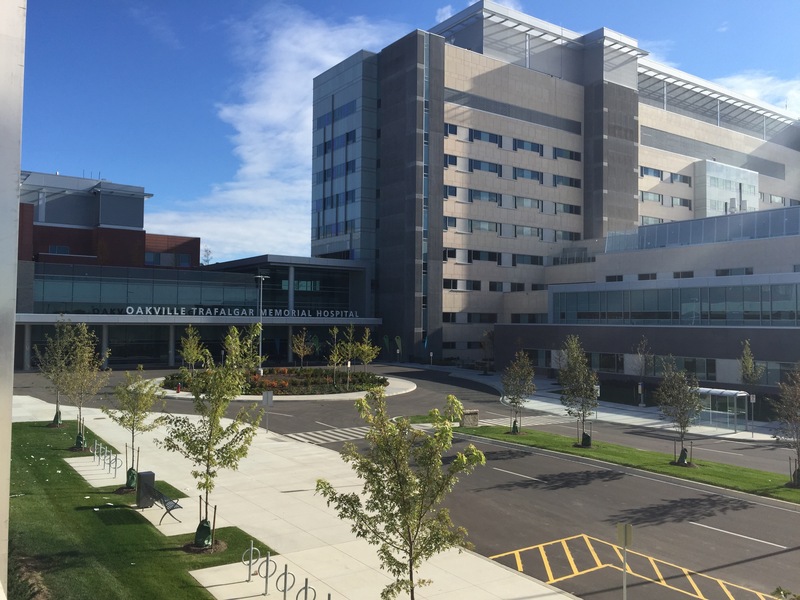 The community’s new hospital opens on December 13, 2015. I appreciate the need to serve the whole Windsor-Essex population with our new facility as you’ve stated in your responses above, however I don’t agree that we could not accomplish this with a more centrally located urban hospital facility. In fact, the proposed site offers major challenges for seniors and people with disabilities to access and many planners and healthcare professionals will argue this location severely deteriorates accessibility. CAMPP has consistently attempted to identify the challenges presented by supporting sprawl to your group but it seems our message has been ignored. Below are a couple documents prepared by very reputable sources supporting the CAMPP message that sprawl fails to provide an inclusive environment for all people. I would hope research like this will be utilized in the siting and development of this hospital and changes be made to the plan before its too late. There were 30+community-driven criterion used to select the location for the new state-of-the-art hospital including proximity to EMS, Police, patient transfer, relationship to other supportive institutions, neighbourhood compatibility, safe and convenient access for all, etc. Focusing narrowly on one criteria, like making sure the hospital was located in an urban setting, would not have lead to an accountable process that takes the needs of everyone in Windsor-Essex into account along with the regional needs of the Erie St Clair LHIN. With all due respect, by that logic, an urban location would always have been out of the question. If the LHIN had required the hospital to be outside the urban core, I really wish they would have been more upfront about it. In the past you’ve noted that accessibility to be the no. 1 criteria yet the site is in a location that will perpetuate sprawl, a development type that is at the heart inaccessible to people with disabilities and our aging population. As I’ve tried to explain using the referenced material. I’ve yet to see any data to justify this site is any more accessible to people driving in from the county than the various others discussed throughout the process. As for focusing on “one critera, CAMPP has been studying this location for various angles and provided countless resources to attempt to explain how an urban site is superior on many critera such as but not limited to: upfront development cost and ongoing costs of sprawl, environmental protection for farmland, urban revitalization, local economic concerns, access for everyone, proximity to services in the US, site servicing, and many more. I look forward to seeing data to support this site over the various other sites submitted and discussed during this process. A W – E new Acute Care Hospital site location criteria deliberately rural biased to provide excessive surface parking and greenfield developer profits. Is this an example of reasonable planning principles and good environmental design? If the WRH believes that it is being efficient and practical by designing for parking – How is it that the extra infrastructure cost associated with (Hwy 42 expansion, Concession 9 expansion, Cabana Rd expansion, new hydro, sewer and water expansion, larger sprawl footprint, excessive liability, maintenance and safety issues associated with asphalt sprawl parking, storm water retention ponds, excessive outdoor lighting etc.) will actually cost taxpayers a lot more because of the poor choice of a rural location over an existing serviced brownfield site in the City? WRH Answers: ‘We don’t have to pay for all the new infrastructure associated with the airport location’. Real answer: ‘But the taxpayer does’. Let’s not forget that parking will be charged for even at a poorly chose rural site. Thanks for your comments. Again, we have to remember that the new state-of-the-art, acute care hospital is for the Windsor-Essex community. It needs to serve the population of the region. I can assure you that a sprawl/mall rural located, big footprint greenfield design is not state of the art architecture, landscape architecture or urban planning. If your referencing interior HVAC segregation by zones and some of the other features shown in the Oakville example – those would be a considered an ‘expected’ standard, rather than anything ‘state of the art’. State of the art seems to imply a much greater connotation for innovation based from holistic design principles involved in community building. As that appears to be the future where architecture, landscape architecture and health innovation is going elsewhere other than Windsor. The perspective rendering for the proposed new Windsor – Essex Single Site Acute Care Hospital does not indicate anything of a holistic or community building design – but rather it’s auto-centric polar opposite, reaching back to the 1950′. Enmeshed in a literal sea of asphalt, efficiency in height restricted by near miss proximity to the Windsor airport and an expensive, geographic distance liability to the lower income urban patient majority and their families.The county population (by the Provinces own recent report) is not expected to grow by 2035. As all the expensive road improvements necessitated by a poorly chosen rural site are geared mainly towards Windsor (and in a minor sense to Windsor’s immediate neighbors of LaSalle and Tecumseh) – that in itself gives evidence of where the new Hospital traffic is expected to emanate from.Tag on another 1/2 $Billion for that new roadwork expansion and other infrastructure not accounted for in the Hospital price tag, due to a rural location.. 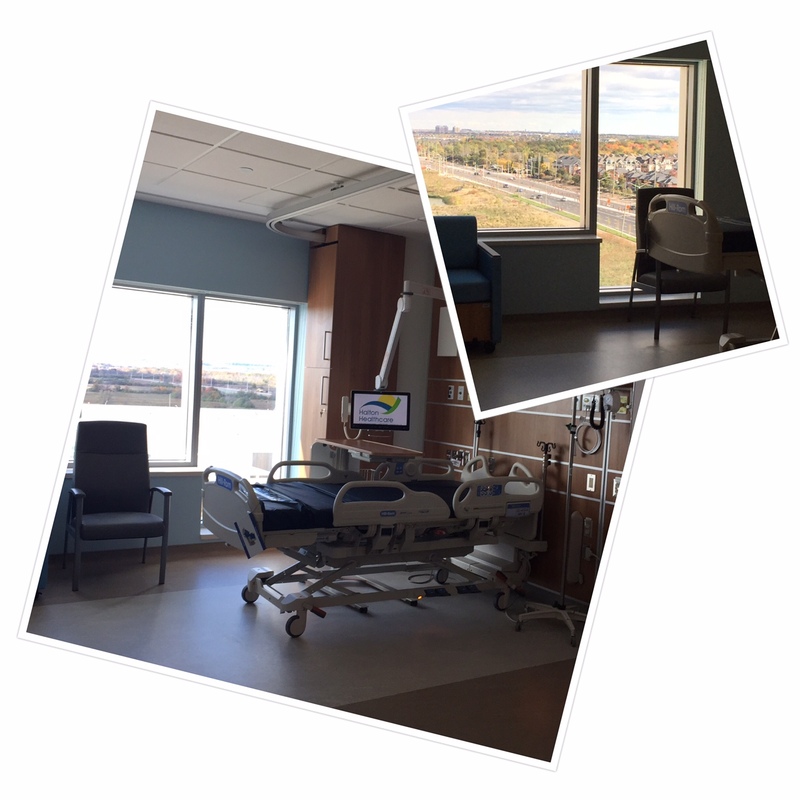 Thank you for an interesting look at Oakville’s new hospital. One thing you didn’t mention is how accessible it will remain. While it is further away from the core (8km) than the old hospital (2km), it’s still significantly closer to the core than the proposed site of our new hospital (12.5 km from city hall, 16km from Erie & Ouellette, 18km from College & Huron Church). I also see from their website that there is a multi-storey parking garage. Is this also something that is being planned for W-E? We have to continue to remember the new-state-of-the-art acute care hospital being planned is for the Windsor-Essex region. In addition to the new acute care hospital, we are planning the Urgent Care centre at former Grace site, mental health and community hub for Ouellette campus and investments at Tayfour. Oakville is located on a 50 plus acre parcel and also there is a municipal requirement that requires half of the parking to be in a garage and therefore the need to construct such a facility in Oakville. The preliminary designs for the new acute care hospital in Windsor-Essex will have great accessibility and therefore will not require a parking garage to be built and therefore reduce the local financial share to our residents. Parking garages are not funded at all by the Ministry of Health and Long Term Care. It is great to see what is possible for the residents of Windsor-Essex similar to what we are all financially supporting for the residents of Oakville. I’m glad you brought up the fact that the hospital will be serving the entire region. In fact, the proposed location is further away for all of us in aggregate than our current acute care options, and will result in 20% MORE road miles than currently – assuming everyone requires an equal amount of access. This is a fact that most people probably don’t realize. Citizens for an Accountable Mega Hospital Planning Process ran the numbers for the whole region, and you can see the calculation on our website. It shows that fewer than 30% of all W-E residents live closer to the airport site. Only 9% of Windsor residents are closer. Did you know the airport site will also put our acute healthcare at a greater distance from our core than any other hospital in Canada? I can’t imagine we’re the only region that is servicing both a city and surrounding towns, yet our “Made in Windsor” solution seems to be unique. I’m afraid I can’t get excited about surface parking. The idea of paving over farmers fields to satisfy a car-centric approach to healthcare is environmentally reprehensible. It goes against provincial and municipal planning objectives, which should have excluded the possibility of an ex-urban site in the first place. An urban hospital would require less parking, partly because more people can access it without needing parking, and partly because there are already so many 3rd party parking providers in Windsor. That’s a huge cost savings right off the bat! Finally, today, Windsor doesn’t have the resources to build and maintain an adequate transit system. Our roads are also crumbling. By insisting on building further away, we’ll not only be taking away from existing transportation priorities, but over the long term we’ll only make these problems worse. To me, the solution is to build the UCC closer to the County, and keep Acute Care in the core. Not downtown, specifically, but somewhere in the urban core.